I know they said Taco on them, but they were a new product and I thought they'd be good on hot dogs. I probably wouldn't get them again. 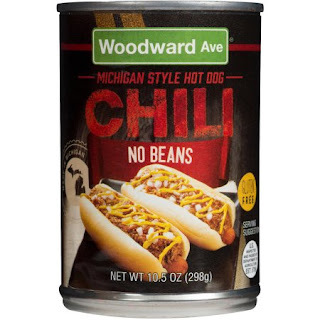 They have a texture and smell similar to Hormel chili, which is not good. Taste is slightly better. 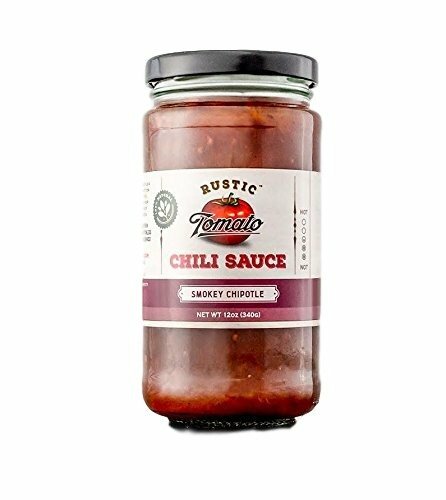 Similar to chili, but with a taco meat type taste. This was too mild for my liking. This is very similar to the mild original flavor, but a tiny bit more spicier. Read the review there for why I wouldn't buy this again. I really enjoyed this a lot. There's not many ingredients in it. It has a bold peach flavor and tastes very fresh. 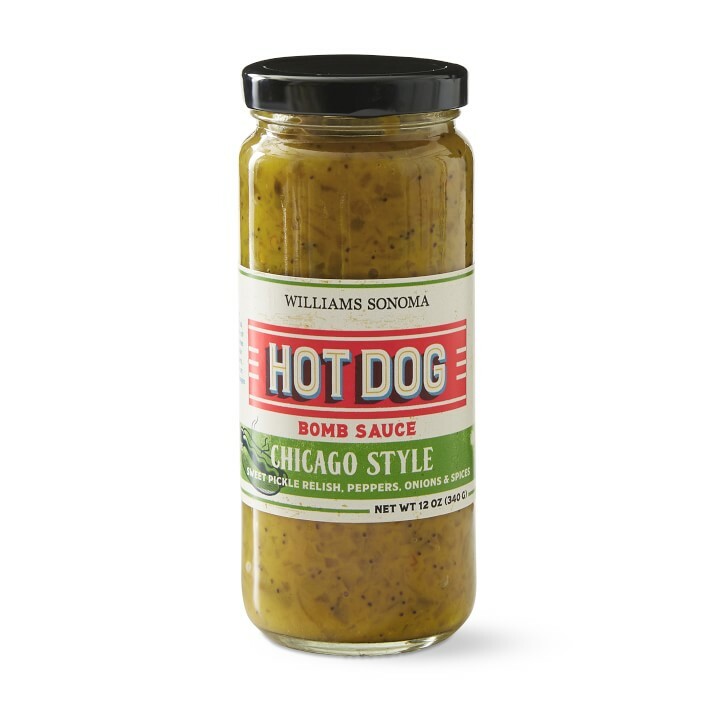 Great on top of hot dogs and pairs nicely with mustard. The only thing I do not like are big herb leaves that get left behind, some of them are crushed a bit, but I have to fish those out first. Ingredients: Peaches, vidalia onions, cider vinegar, sugar, natural peach extract, garlic, spices. This has to be one of the most unique meat sauces that I've ever seen. It's made with a lot of the same ingredients you might find in a Rochester Garbage Plate, but with the addition of hops and beer. If you're not a big beerhead, then this won't be for you. The only thing I really taste is hops and bitterness. I tried to love this sauce, I really did. 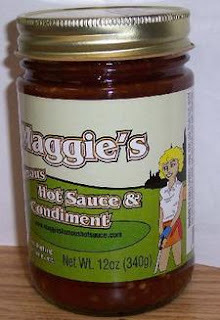 I had it straight out of the jar, I then tried it with mustard, I added extra tomato paste, I added extra cayenne. Each time I tried it the only thing I taste is hoppy bitterness. I'm hardly getting any of that classic garbage plate flavor. 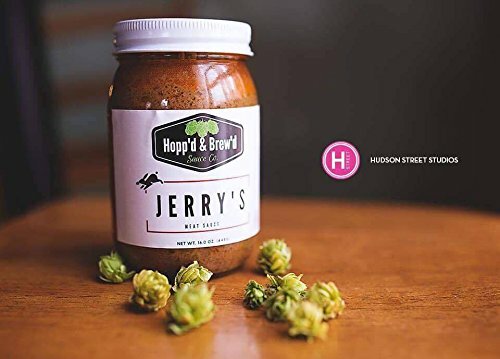 If they could tone down the hoppiness and increase some of the other spices, I think this could be more of a mainstream hit, but as it sits now I feel it's something only for beerheads. 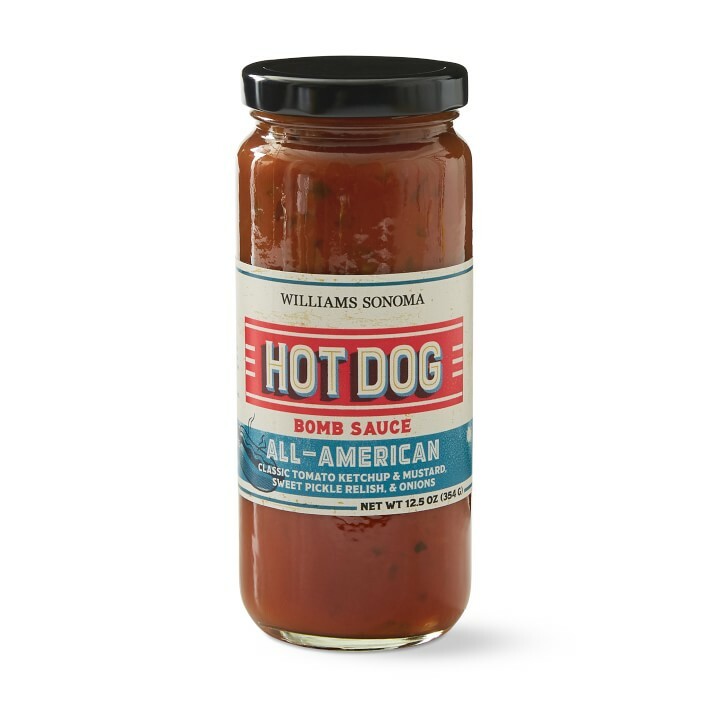 Comes in four flavors: Habanero Heat, Smokey Chipotle, Sweet & Savory, and Sweet Heat. The first thing that comes to mind is the tiny jar. 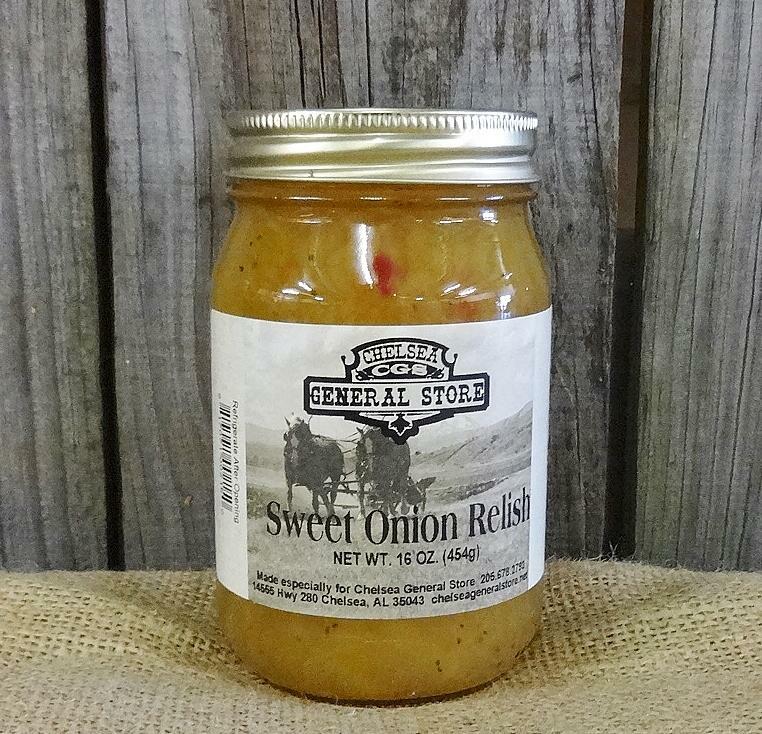 It's only 8 ounces, when a lot of jars are 12 ounces, but the price is right. When comparing the price to something that's 12 ounces, this comes out to the same price per ounce. I didn't know how I'd like this, so I only ordered one jar, but it would make more sense if you order a few at a time so shipping costs are combined. 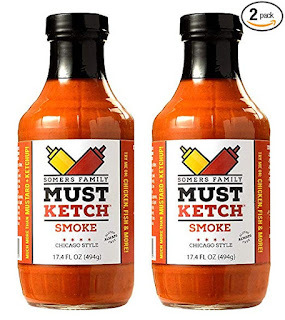 Definitely looks, smells, and tastes of tomato, after all they are the first ingredients listed. The beans lend itself to making a thicker texture, but I am not sure if they lend anything to the flavor. There is a tiny sweetness at first, but then the heat comes through. I actually wasn't expecting it to be this hot. 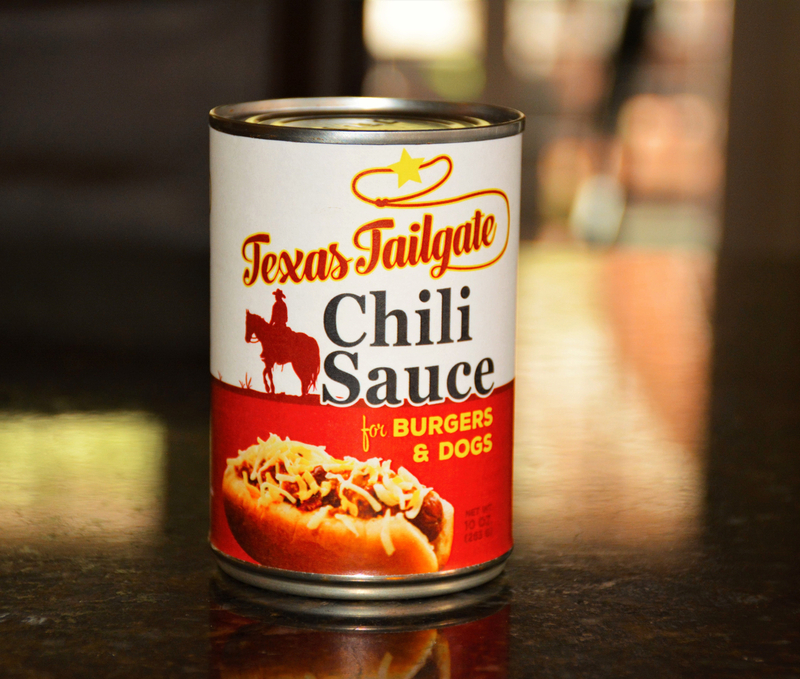 The heat remains on your tongue awhile, kind of dulling all the other flavors. This is reminiscent of something I'd have made myself. If you don't like foods that are medium to hot in spiciness you'll probably want to order the regular variety. Beef is listed as one of the ingredients, but I don't taste that. I definitely want to try the regular variety, as I think more brightness will come through from the other ingredients instead of just hotness, but I would definitely order this one again as well. 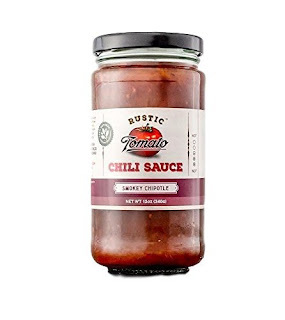 Ingredients: tomato juice (tomatoes, salt), tomatoes, red beans, black beans, onions, ground beef, tomato paste, brown sugar, spices, gdl (natural acidifier), salt, green peppers, paprika, tumeric, garlic. 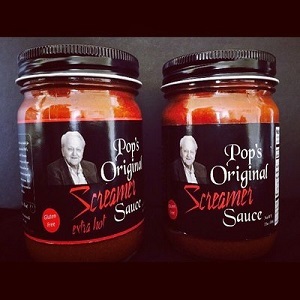 The story starts off with my friend and favorite artist who wrote about Screamer sauce here. His article was enough to make me take a 3 plus hour drive out to Tony's Lunch in Girardville, PA (which only opens at 8PM). Ever since then I've been craving the sauce. 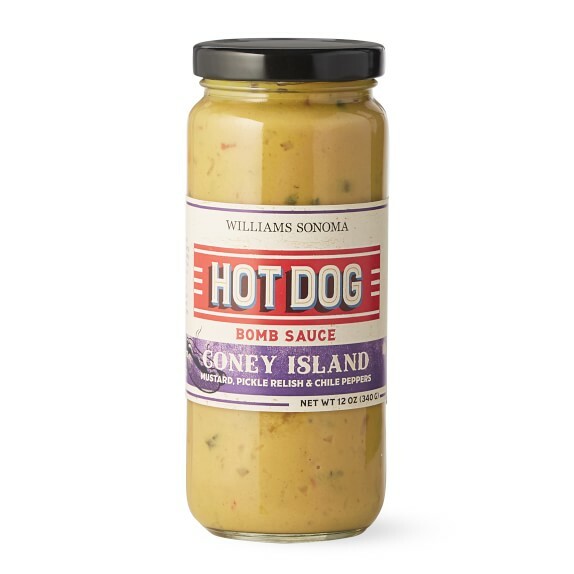 A few days later I did some detective work and found another company who makes Screamer sauce. I don't think it has relation to Tony's Lunch, but if my memory serves me correct this sauce is very close. I drove around 3 hours again into Pennsylvania again just to buy some of this. I'd gladly do it again, however I knew once a new batch was made with the co-packer that it would start to be sold online. That day has come. I know what you're thinking (if you followed the link above) and it's what most people are going to say. You saw marshmallow fluff in that article above and might have been freaked out. I'll admit I had reservations at first, but the combination turned out nothing short of amazing. You do not need to add marshmallow fluff, but the combination does surprisingly work well together. 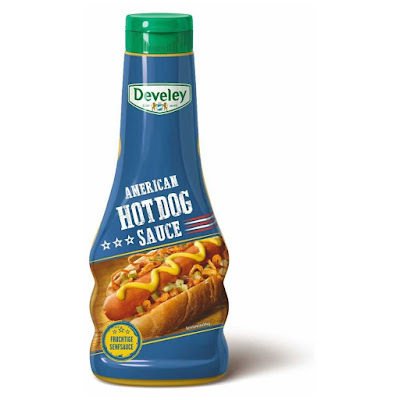 However, even without fluff this sauce stands on it's own. Even on it's own I think it's pretty amazing. It's a super hot meat based sauce. I don't really know how else to describe it. 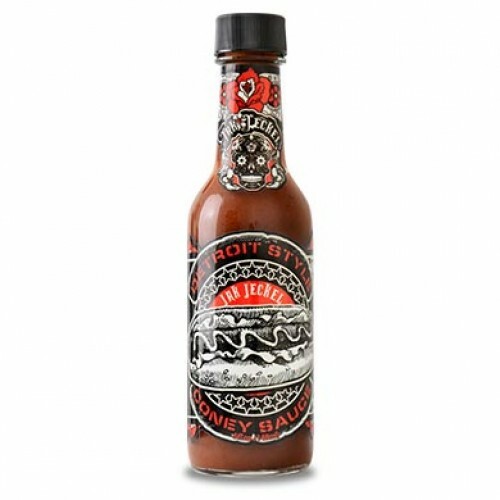 They make an Extra Hot version, but even the regular one is hot and made me hiccup. See the links on the left to place an order. This is definitely in my top 3 of anything I've written about on this website. I would gladly put it on hot dogs, burgers, and cheesesteaks. 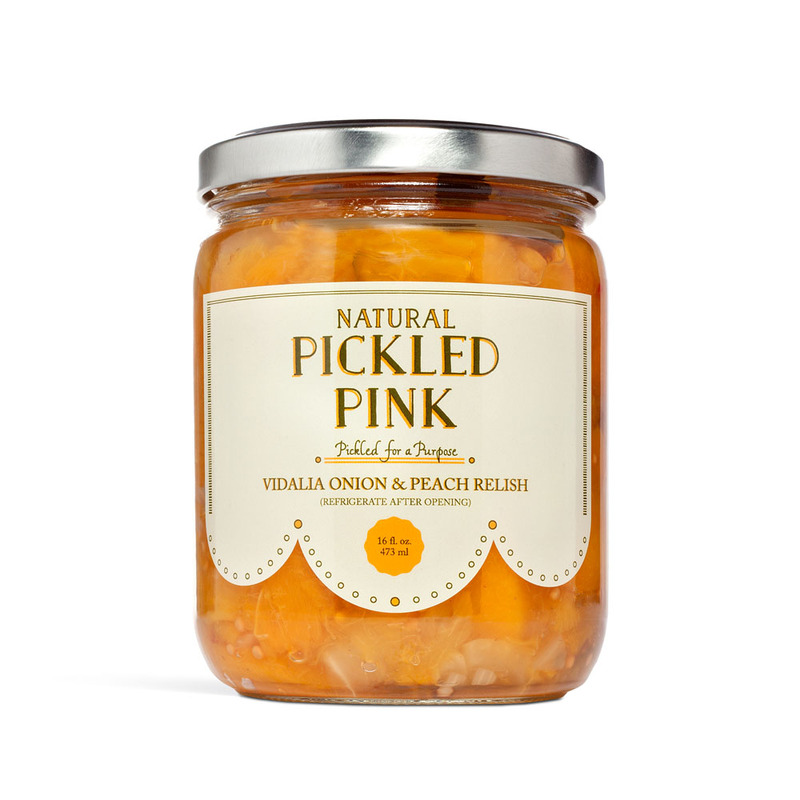 Ingredients: I don't have a list of ingredients yet since I've long eaten my last jar and have just ordered some from the website. I'll have that soon. 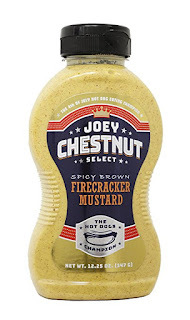 This is one of my new favorite mustards. I'm not sure how long it's been on the market, but I only saw it in the supermarket today. 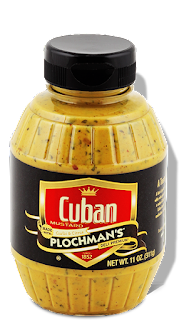 It's cuban inspired and some of the interesting ingredients list garlic, cilantro, orange juice, lime juice, lemon peel, and white wine. There's chili pepper as well, and it's not that hot, but I personally would have left it out. This mustard has a slight texture to it that I don't totally like. 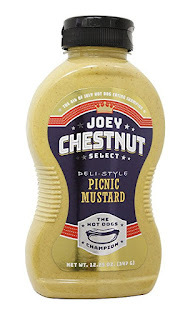 I like smooth mustard and stone ground. It won't stop me from buying this again because I really love the flavor. Ingredients: mild yellow mustard (white distilled vinegar and water, #1 grade mustard seed, salt, tumeric, onion powder, spices, natural flavoring), water, garlic orange juice concentrate, sugar, salt, white wine, spices, chili pepper, cornstarch, cilantro, lime juice concentrate, lemon peel, onion powder, natural flavors, xanthan gum. This is more watery than I expected. 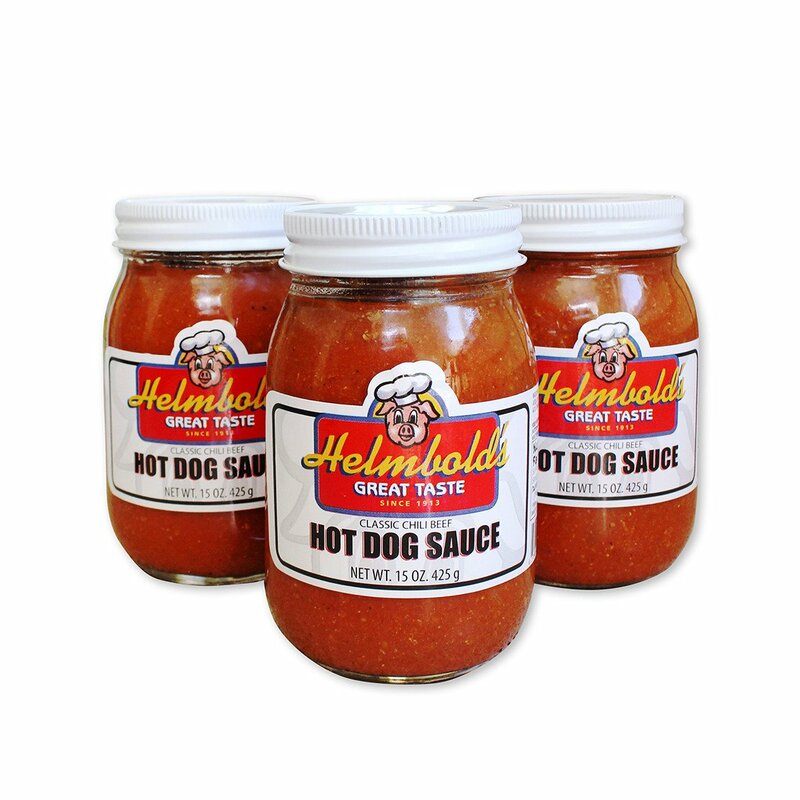 I just cooked up two hot dogs, put them on buns, put sauce on top of each. 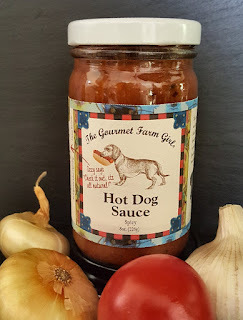 By the time I put the lid on the sauce, put it in the fridge, and put the spoon in the sink (30 seconds?) the liquid soaked so much into the bread that when I picked up a bun it fell apart. As I tried to catch the hot dog, it knocked the other hot dog off my plate, tipped over my iced tea and ruined everything. 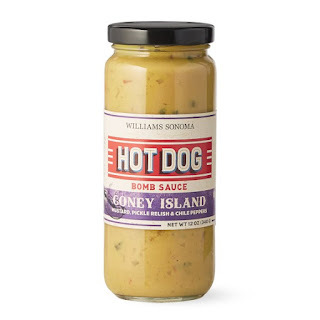 I would not recommend this as a condiment on top of bread unless you're going to maybe use a fork or something to strain it a bit and make it less watery. Since I still wanted to review this product, I decided to just put some on top of a bun by itself. This is the "mild" version and it's pretty hot. It tastes like a combination of that vinegary hot pepper spread you can get on top of a sandwich at a sub shop, mixed with ketchup. There's a lot of interesting ingredients in here, but I don't taste the depth of flavor I thought I'd get. 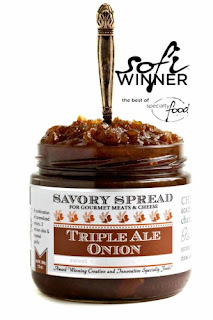 I don't mind the flavor, but I think I could probably make a close copycat to this with far less ingredients. By the time I walk from the kitchen to the bedroom, the bread is a pinkish / redish hue and I can't stand the flavor or texture of the sauce with bread. 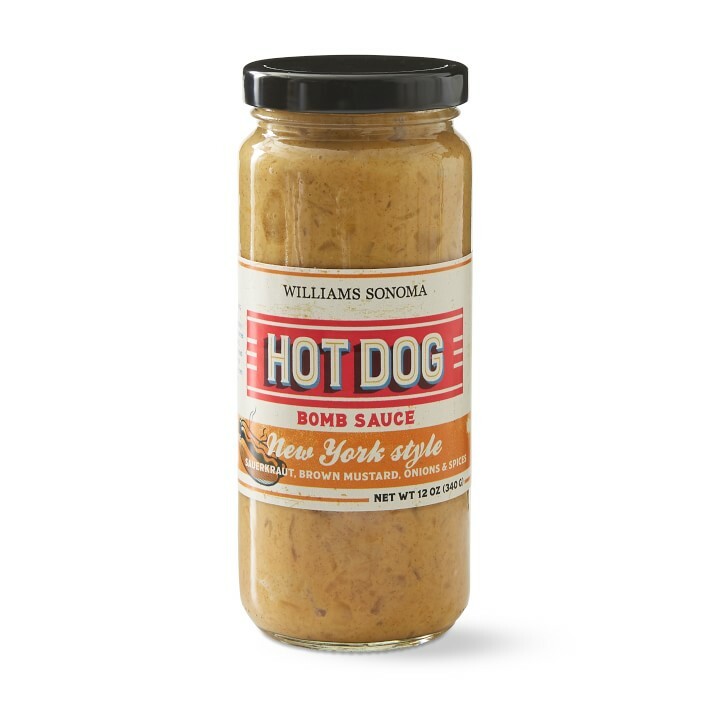 While I will give this a another try with something else (maybe a baked potato or in an omelette), I won't be buying the it again because I feel it's taste on bread severly limits what I can use it on. Ingredients: red peppers (distilled vinegar, water, salt, sodium benzoate (to preserve freshness), calcium chloride, natural flavor), roasted red peppers (peppers, water, salt, citric acid and calcium chloride added as an afirming agent), sugar, beef base (roasted beef and concentrated beef stock), salt, hydrolyzed soy, corn and wheat proteins, maltodextrin, corn oil, sugar, 2% less of caramel color, cornstarch, autolyzed yeast extract, potato starch, disodium inosinate / disodium guanylate, modified cornstarch, natural flavors), steak sauce (vinegar, corn syrup, tomato paste, water, salt, raisin paste, contains less than 2% of: spices, orange juice concentrate, citric acid, orange peel powder, yeast extract, caramel, onion, xanthan gum, garlic, natural flavor, sunflower oil. I found this sauce years ago. It came three packages to a box and could sit on your shelf nicely. Unfortunately, the co-packer changed machines or something and they were unable to make the product any more and it went off the market for awhile. My website only features products you can order online and I toyed with the idea of taking down my review. 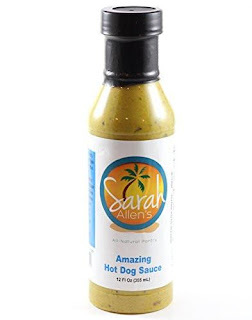 However, I liked the product so much that I decided to leave something up as a note to people who came here and as encouragement for Jim at Hot Top Foods to find a solution to get his product back on the market. 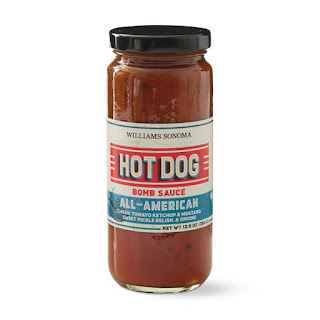 I even would email Jim from time to time basically to just say hi or talk hot dog topping, partially because he seems like a genuinely nice guy, but more so that I always wanted to plant the seed in his head that his product needs to be back on the market. I even offered to buy a really large quantity if he found a new co-packer and needed enough to make a minimum order. I think all that says enough about how much I like this. I'm proud to say it's back. I know it came back a few months ago, but my circumstances changed recently. Anyway, long story short I asked for this as a Christmas gift and received it today. 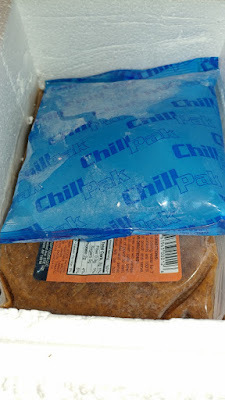 The new product is freshly made and ships frozen. I have ordered from Dominic and the staff at NYStyleDeli.com a bunch of times now. I've never had any issues at all. My sauce came in a styrofoam container that fit the packs perfectly. There were ice packs on the top and bottom. The package arrived earlier in the day, I arrived home many hours later and things were still frozen. Here's a picture of the package after having removed the top. It was taped very well and the contents did not slide around. People who tried the old product will notice this new version tastes very similar, although slightly better. The reason for this is because there aren't some (or as many) of the preservative type stuff that was in the old one. I don't have the old package to compare ingredients, but I'm guessing those are really the only changes. The sauce is bursting with flavor. 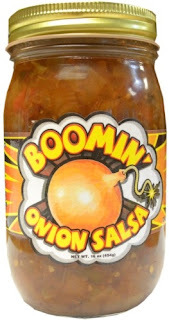 There's a nice heat and flavor that lingers in your mouth long after eating. It's not too salty either. I think the ingredients all play a part into making a perfect savory flavor (such as the vegetable broth). 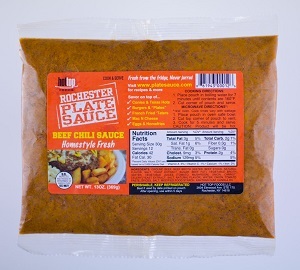 Great to make Rochester Plates, on hot dogs, right out of the bowl on a spoon, or with chips. Cooking is easy. You can do it on a stove, although I did it in the microwave. Just snip off a section of the package to vent end and put in a box and microwave for 5 minutes. I found that ceramic bowls weren't good. Glass bowls is perfect. The only issue is now you have a bowl of chili with a package sitting in it. My preferred method of cooking was to actually cut the product out of the package and put it in a container to microwave, however I found since taking it out of the pouch I had to microwave a bit longer. I previously mentioned that this is something I crave from time to time. The new product is no different. Ingredients: ground beef, beef broth (water, beef stock, natural flavor), salt, yeast extract, sugar, beef fat), vegetable broth (water, vegetable juices [tomato, mushroom, onion, carrot, celery], yeast extract, salt, natural flavor), water, onion, tomato paste, spices, salt, modified food starch, xanthan gum, canola oil. 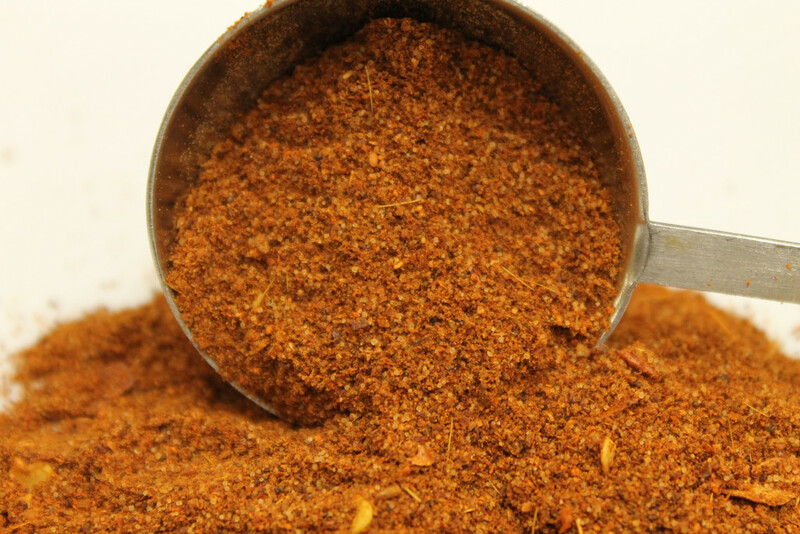 Ingredients: chili powder, red peppers, cayenne, allspice, cumin, cinnamon, celery seed, paprika, salt. At first inspection I thought the picture looked a big sketchy. Something made at home and sold on Etsy. 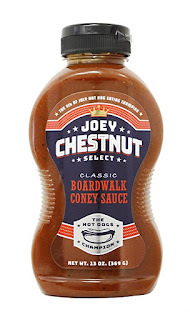 But upon further searching the internet it's actually manufactured by a company in New Jersey and also sold on other websites and in some supermarkets. I found it in ShopRite. Leave it to someone in Dirty Jersey to spell it "Ho". The picture above says "All Natural" but my jar says "Instead of Ketchup". Further reading people seem to love this stuff. Some going far as to say it's the only thing they'll eat on meat loaf. 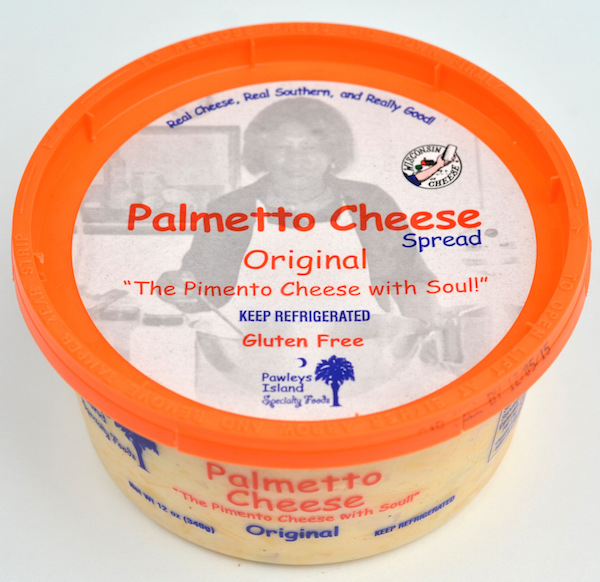 One lady said she buys cases of this at a time. I don't think ketchup belongs on hot dogs, but I figure with the other ingredients maybe it'll be spicy or something. Sesame seeds seem like such a random ingredient. Unfortunately, I'm going to have to hold off judgement on this until another day. I opened the jar and took a taste. 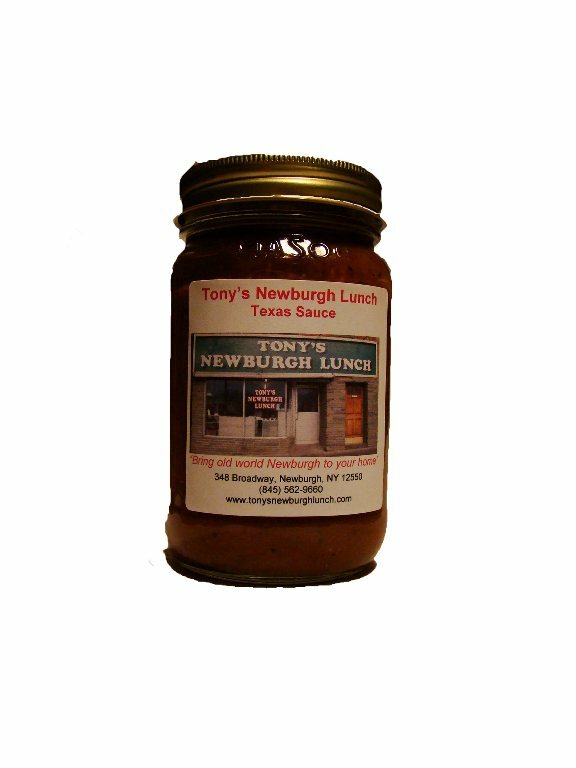 It's tomato laced with sweetness and some crunchy peppers. I took a tiny taste from a spoon, but so far I think this would be better on a hot dog, but with some mustard to add that tangy heat. My initial judgement would be that I don't know why people go so crazy for this stuff. I tried it on crackers also, it's alright, but not something I'd ever go crazy for. 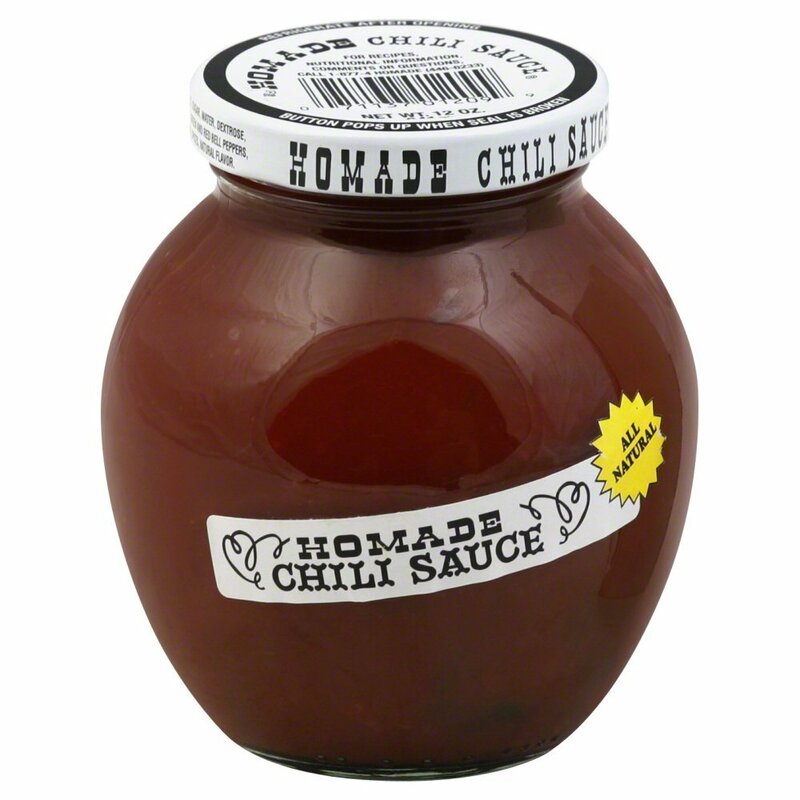 Ingredients: tomatoes, sugar, vinegar, green and red bell pepper, salt, onion, sesame seeds, spices. This was your standard pushcart style onion sauce. It was fine. 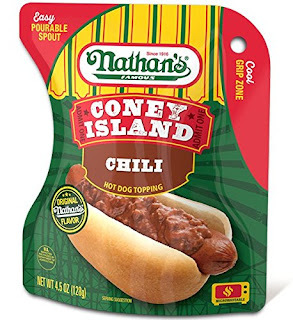 I did 3 hot dogs with this package, and could have done a fourth. Good amount for the (store bought) price. Note: While I provided a link for ordering this online (because that's what my website is about), I should note that if you buy these in the supermarket they're much cheaper. Less than $2 each at Wally World. Ingredients: onion, water, seasoning (dextrose, soybean oil, tomato powder, sugar, salt, spice, citric acid, modified food starch, onion powder, garlic powder, beef powder, oleoresin paprika, flavoring). This is made by the same company that makes Patterson's Beef Hot Dog Chili. I bought two cans. They both had similar expiration dates, however I noticed they have two different cans. One is pictured above with that cowboy on a horse. The other one is exactly the same except has a picture of a bull instead. The ingredients and nutrition facts are exactly the same, so my only thought is they were tricking me into buying both cans. The first thing you can tell is that it's not made with meat. It just has a different look than other chili. The second thing you'll notice is the smell of paprika. 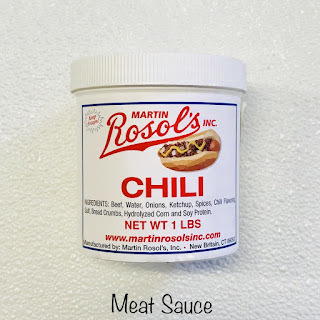 Flavorwise this chili has a strong paprika and chili powder taste. It's also slightly sweet, not salty, not spicy either. I like this much better than Patterson's. 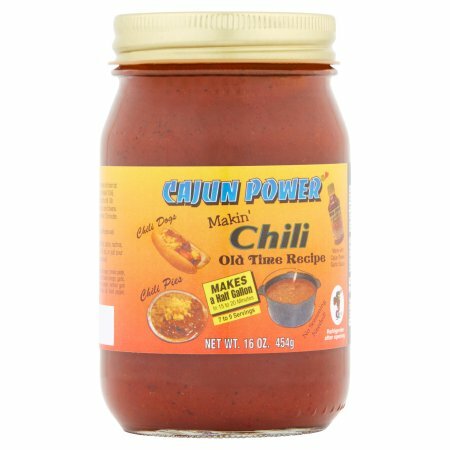 Ingredients: water, soy grits, tomato paste (tomatoes), dark chili powder (chili pepper, cumin, oregano, salt, silicon dioxide, garlic), lard type flavor (interesterified soybean oil, natural flavors), distilled vinegar (diluted with water, natural flavor, caramel coloring), hot sauce (aged cayenne peppers, distilled vinegar, water, sal, garlic powder), sugar, salt, brown sugar, smoked paprika, onion powder, xanthan gum, lecithin oil (liquid soya lecithin), garlic powder, black pepper. You can really taste the meat, although I don't totally enjoy the flavor. Spices are definitely in the front and this has some heat to it. It builds as you keep eating it. 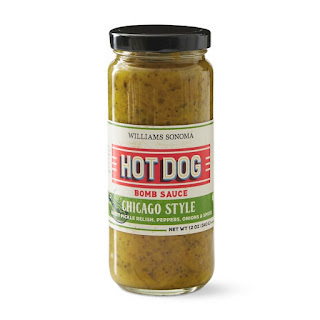 It's just the right texture for hot dogs without having the beans that some brands add. EDIT: I finally opened the second can. I got a hard piece of something in it, decided to spit it out, and stopped eating. 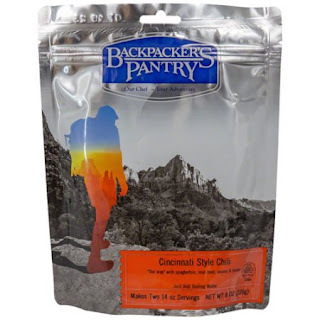 Ingredients: beef, water, tomato paste, textured vegetable protein (soy flour, caramel coloring), barley flour, spice blend (chili peppers, spices, dehydrated onion, dehydrated garlic, salt, red pepper, silicon dioxide (2% max), caramel color, natural spice extractives, and ethoxyquin [100 pm max]), modified corn starch, sugar, garlic powder. Ingredients: water, cheese seasoning (cheese powder, modified food starch, unbleached wheat flour, skim milk powder, salt, yeast extract, maltodextrin, natural flavors, sodium phosphates, onion powder, garlic powder, mono & dyglycerides, lactic acid, xanthan gum, guar gum, flavor enhancer [disodium inosinate & guanylate] , annato), soybean oil. Flavorwise, this tastes like meat and really nothing much else. There is some sort of slight funk in the background. I don't really care for the flavor. If you're eating these on hot dogs, the pouches are convenient because they're enough to do a few hot dogs without any left over. It microwaves right in the pouch and has a spot to grab so you don't burn your hand. However, if you want to eat these with potato chips I think you'll find the quantity to be a little small. Although in my case that's not a bad thing because I don't really want to eat much more of this. Ingredients: water, cooked beef (beef, salt), chili spice blend (modified food starch, yellow corn flour, spice, textured soy concentrate [caramel color added], onion*, salt, flavor [dextrose, tomato powder, salt, citric acid, garlic powder, onion powder], paprika, beef stock powder, sugar, soybean oil, garlic powder, silicon dioxide, oleoresin paprika, tomato paste, beef fat powder (beef fat, corn syrup solids, sodium caseinate, mono & diglycerides, BHT, citric acid), textured vegetable protein (soy flour, caramel color), vinegar. *dehydrated. This has a classic chili smell and is dark red in color. You can see a lot of spices in it. It's flavor is not hot, but a bit complex. I find it hard for me to actually describe. Tasty, not overly salty, but by no means bland. Strong tomato presence up front, but then notes of cajun and garlic hit your mouth. It's something I'd definitely order more of. I originally ordered this from Wally World's website. When I brought it home the jar was partially opened. The lid was on very loose and half twisted. I was worried about if it was sealed for protection or not and that someone could have tampered with it. I've since edited the link on my website to the companies actual website / store and ordered directly from them. I received my package a few days ago. I ordered this and a bottle of Garlic Sauce. 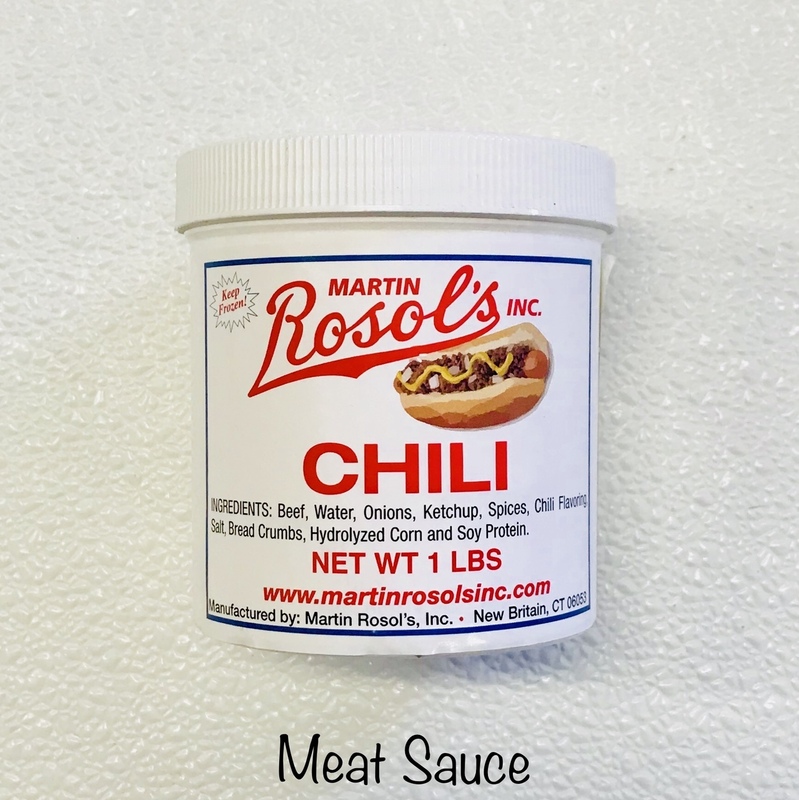 Garlic Sauce is their original product that made them famous and it's also inside this chili product. I wanted to try the garlic sauce by itself. I think my only issue is the jars aren't "sealed", but the bottle of garlic sauce has a nice plastic band around it. I wouldn't mind paying a few extra cents if I had to for them to put some protection on it for peace of mind. Ingredients: onions, water, tomato sauce, tomato paste, soybean oil, cajun power garlic sauce [vinegar, garlic, sucrose, spices, salt, cayenne pepper, xanthan gum (stabilizer)], sugar, chile peppers, salt, black pepper, green bell peppers, spices. Note: I could only find this for sale on Amazon Germany. There was a seller that will ship to the United States. You can use your normal Amazon.com login and order. If you need to translate the website paste the URL into Google Translate. This has directions to make both Hot Meat Sauce and Hot Spicy Chili. 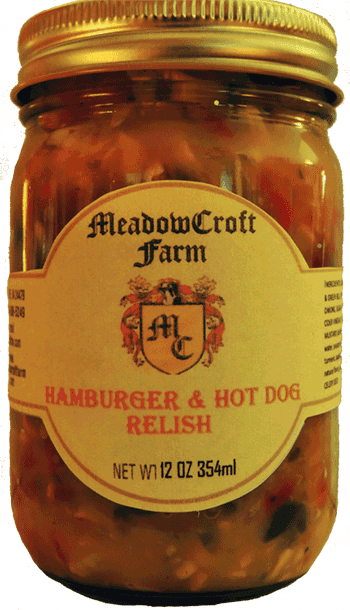 If you're making meat sauce you combine this with meat and water. Pretty much everything you need is in the packet. However, if you're making chili there's a lot more stuff involved. 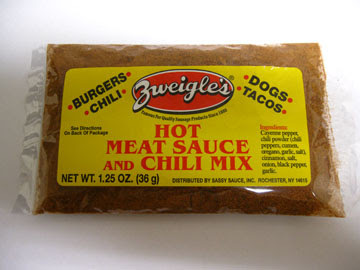 You only use half a packet, diced tomatoes, ketchup, chili powder, beans, salt, and of course meat and water. I didn't buy this to have to get my own spices out. I think the only recipe I'll make is one that's all inclusive in the packet. I didn't have high hopes for this because there's not much in the way of interesting spices in the ingredients besides cinnamon. Cutting open the package that's pretty much all you can smell. It wanted me to brown 1.5 pounds of meat, but the package was 1.18 pounds. I left a little grease in even though it said to drain. As a result of the under weighed meat, this came out a little spicier than it normally would have, but I think it would have still been spicy even with the right amount of meat. The cook time is 20 minutes, but I think it needed to go longer to cook out some more of the water. It's a little bit thin of a sauce. Flavorwise all I can taste is cinnamon and heat. It could use some more salt. It could use something else to balance out the flavor besides cinnamon. Ingredients: cayenne pepper, chili powder, (chili peppers, cumen, oregano, garlic, salt), cinnamon, salt, onion, black pepper, garlic. PS - They spelled cumin wrong on the package, not me. Opening the can this really smells like Hormel (that's a bad thing). The color kind of looks like vomit. It's not meaty brown, it's not red from the spice or oil, it's more like a medium dark tan or almost rust colored. You can see chunks of meat and lots of beans. After cooking in the microwave it's two colors.. part of that vomit color (which is the less hot portion) and the outer part of it is dark like diarrhea (the warmer cooked part). Flavor is average at best. There's a mild heat that you can notice from the peppers. Nothing exotic in here like cinnamon, cloves, or other stuff like that. Pretty straight forward chili. Mushy texture, not quite as thick as a milkshake, but it made me think of one. Going to the website on the back of the package one will notice how extremely bad it is. News button? Gives an error message. Contact button? Reports a fatal error. Administrator button? Why would an end user need to see that. Not something I'll be ordering again. This pretty much follows my thoughts about actual Steak 'N Shake locations. I wrote a rant on Yelp! about one that opened up in my area. You can order through their website. They advertise a bunch of burgers.. Guacamole Steakburger? Jalapeno Crunch? Western BBQ? Yes please. They have NONE of that. They only have burgers and burgers with cheese. Maybe bacon also, but none of the cool burgers they advertise. I checked in 2016, and also in 2017 and they still haven't fixed their menu. False advertising. More like Steak and Fake. 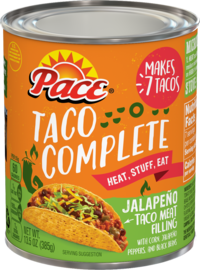 Ingredients: water, beef, beans, modified cornstarch, chili seasoning (chili peppers, spices [including paprika and spice extratives], cumin, dehydrated garlic, salt), salt, soy lecithin. 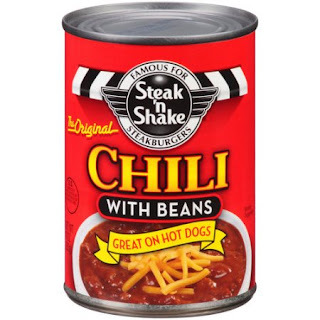 If you've seen my review on Skyline Chili, this chili is very similar. Most of what I said there applies here: similar texture, color, smell, etc. It was less spicy than Skyline and I had wished Skyline to be spicier. I must say this chili didn't make me feel bad afterwards. Someone pointed out to me that these might be made in the same plant so that might be why they're so similar. 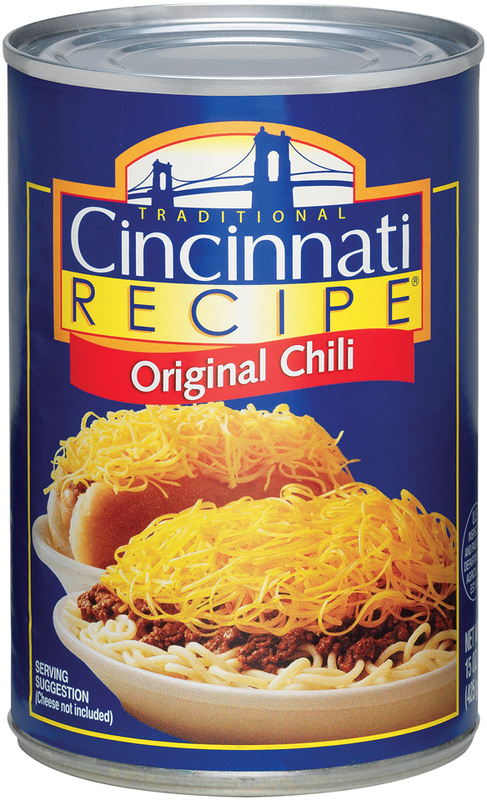 Their website says Cincinnati Recipe Chili, Inc. and I find some reference to Skyline Chili, Inc Doing Business As Cincinnati Recipe, Inc. Missing the world Chili in there, but darn close. If you're ever in Cincinnati, I think Blue Ash makes a better chili and they have a few locations, but as far as cans of Cincinnati chili that I've tried so far, this one has my vote. 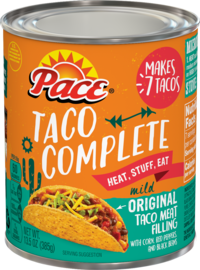 Ingredients: beef, water, tomato sauce (water, tomato paste), 2% or less of the following: corn starch, salt, dehydrated onion, spices, dextrose, modified corn starch, paprika, natural flavors. I like that this has a pull top. At first glance I noticed what appeared to be lots of meat, some large tomato chunks, and you could see the spices throughout. Looked like this was going to be pretty tasty. 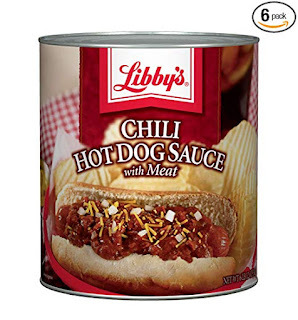 After heating, I poured it into a bowl to eat with chips and have a second can I want to try on hot dogs. It has a good consistency and is definitely a meaty taste. You can tell it's a mix of beef and something else. It's flavorful without being over powered or gritty with spices. It doesn't taste overly salty either, which is good. The only thing I would have liked was a little heat. I would rate this very mild. That's not going to stop me from ordering a few more cans in the near future, though. 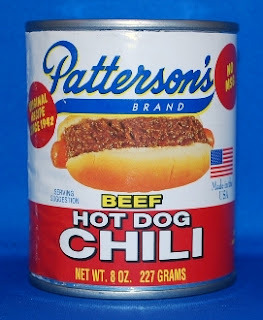 I like that the serving size is one can, not that it matters, because either way I'm definitely finishing this. 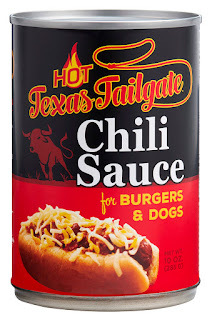 Ingredients: water, beef and pork, diced tomatoes in juice (tomatoes, tomato juice, citric acid, calcium chloride), modified food starch, textured vegetable protein (soy protein concentrate, caramel color), salt, chili powder (chili pepper, spices), spices, sugar, paprika, onion powder, garlic powder. This spread is fantastic. It's cheese with pimentos, mayonnaise, and spices. A tad salty would be the only draw back. 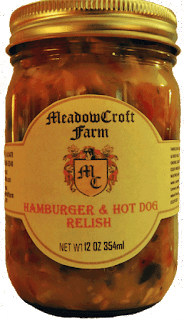 It has a nice thick consistency and spreads on a hot dog roll nicely. The supermarket I went to also carried Price's. I would highly recommend this brand over Price's. Price's has salad dressing in it and tastes absolutely disguisting. Price's does make a "Southern Style" which has mayonnaise as well, but I've never tried that one. 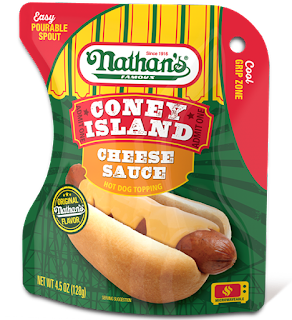 Ingredients: sharp cheddar cheese (cultured pasteurized milk, salt, enzymes, annatto color, potato starch, corn starch, powdered cellulose, natamycin [a natural mold inhibitor]), mayonnaise (soybean oil, water, whole eggs and egg yolks, vinegar, salt, sugar, lemon juice, natural flavors, calcium disodium edta [to protect quality]), cream cheese (pasteurized cultured milk and cream, salt, stabilizers [xanthan, carob bean, and/or guar gums]), pimentos, contains 2% or less of: onion, maltodextrin, cultured dextrose, sodium diacetate, salt, nisin preparation, egg white lysozyme, spices, potassium sorbate [preservative].